With her easy smile, quiet confidence, and gentle self-assuredness, Kathleen Allan exudes the fresh-faced optimismof a recent university graduate. But unlike most grads launching careers in the midst of global economic uncertainty, the 22-year-old composer and singer has good reason to be feeling optimistic. For starters, she’s landed a couple of posts that will make it easier to pay the bills at the East Vancouver apartment she shares with her composer boyfriend (and former T.A.) Benton Roark: she’s recently been hired as the director of the Chorales of the Vancouver Bach Children’s Chorus, and has joined the faculty of the Vancouver Academy of Music as a voice instructor—this, on top of being a soprano with the Vancouver Chamber Choir and penning numerous commissioned works for choirs such as the VCC and Chor Leoni, the latter of which will premiere her piece The Blue Puttee at its Remembrance Day concert. Those accomplishments are even more impressive when you consider Allan just graduated from UBC with a music degree in composition this past May, four years after leaving her native St. John’s, Newfoundland. And no one is more surprised at her successes than Allan herself. Allan is the first to admit she’s benefited from the help of various mentors and supporters throughout the course of her burgeoning career. When she was in Grade 6, her entire class performed one of her early compositions, a piece for voices, piano, and violin. A member of the Newfoundland Symphony Youth Choir (now known as Shallaway) for 10 years, she was given opportunities to conduct the group, and the choir often sang music she’d written. And when Allan was offered a scholarship to study composition at UBC, her parents urged her to accept, even though she’d already been offered scholarships to study engineering by a number of other schools. As for her music, Allan says, “I think it’s accessible to most audiences. I would say it’s text-oriented and, from a musical perspective, maybe tonally based, but with new flavours.” And while she has carved out a niche composing for choirs, she says she hopes to branch into more symphonic work. “I’d like to write a major work for orchestra and soloists,” she admits. She adds: “Ultimately, my goal in life is to be able to write the music I want to write, and support myself.” Allan may not have realized it yet, but she appears to be doing exactly that. Talent, intelligence, and determination are parts of any classical musician’s tool kit, but for those who succeed, luck is often just as important. And Iman Habibi was certainly lucky in the piano teacher he found as a teenager in Tehran. The late Farman Behboud made a habit of ensuring that his students spent time on-stage, and it was there that Habibi discovered his life’s work. There were, and still are, obvious impediments to following a classical-music career in Iran, where the state is not sympathetic to western art of any kind. 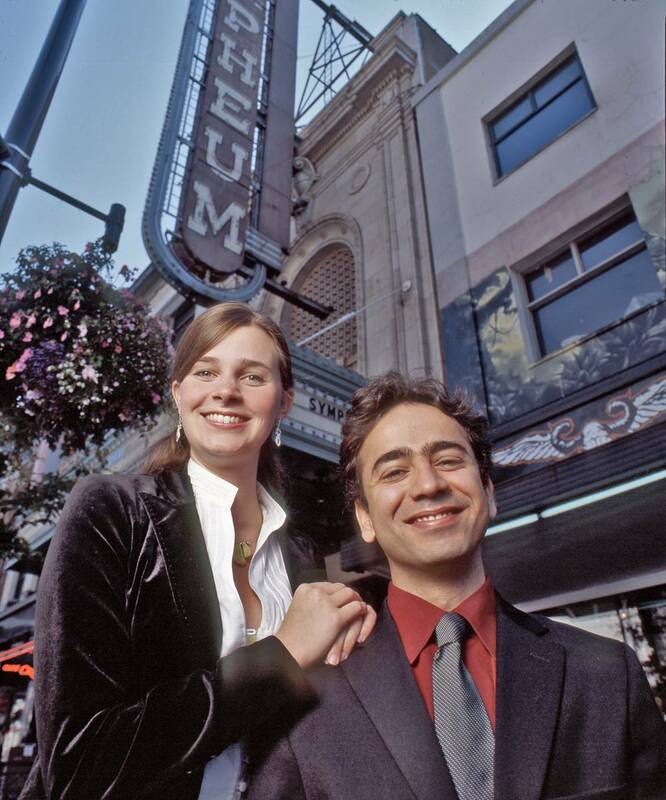 But Habibi and his family immigrated to Canada in 2003, and it was here that he had his second musical breakthrough, when he entered a score in a competition sponsored by the Vancouver Bach Choir. Given that the day after he mailed it in he was told he’d notated it incorrectly, he didn’t think he had any chance of winning. 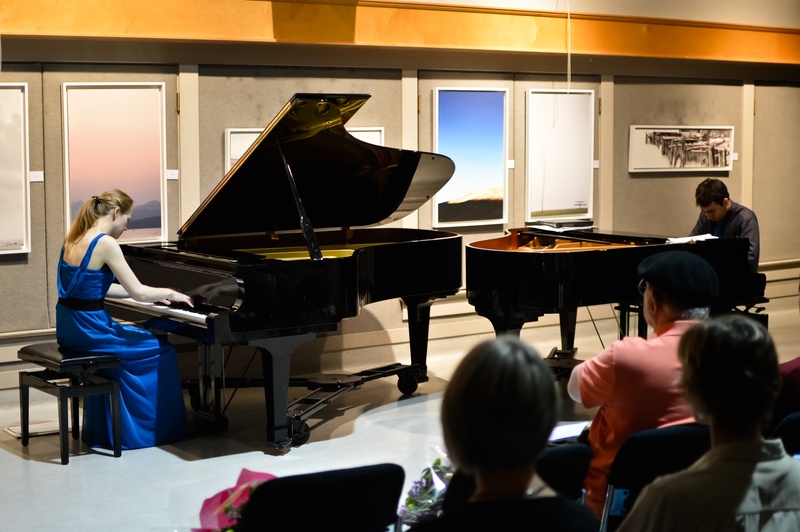 Today, having just received his master’s degree in composition from UBC, the 25-year-old Habibi splits his time between appearing on the international stage—he and girlfriend Deborah Grimmett are just about to leave for Norway, where their Piano Pinnacle duo is performing—and writing scores. He will make a brief, nonplaying appearance at City Hall on September 29: he’s the winner of this year’s Mayor’s Arts Award for emerging artist in music.